How to Get a Loan for Medical Emergency? Medical emergencies are inevitable, and every person has to face such critical situations in his lifetime. Most of the times, these expenses aren’t preplanned, and you have to deal with them all of a sudden. The right support and monetary help can save the day for you during those crucial times. Are you aware of the expenses? The average hospitalization cost per person is Rs. 24,436 in urban areas and Rs. 14,935 in rural areas. This makes healthcare increasingly unaffordable for many. When you are detected with a critical ailment or a health condition, it becomes imperative to get targeted treatment right at that moment. Apart from medicines and doctor’s fees, hospital bills, surgery charges, associated expenses, and rehabilitation costs are also present. It isn’t always possible for an ailing individual or his family to take care of these huge expenses. It is right here that financial assistance and support comes into the picture. In your fragile state of mind, it is easy to get swayed looking for options to pay for medical expenses. Getting financial assistance and a personal loan for a medical emergency will be the best thing to do only if you get them from the right sources. Top lenders impart professional support to their clients whenever they face medical emergencies. The repayment options and interest rates offered by them are quite appropriate. Before you can ask for funding, make sure you are clear about the eligibility criteria. Are you the right person to get financial assistance during healthcare emergencies? Do you meet the criteria set by your chosen lenders? If you look around, you will come across distinctive options for salaried and self-employed persons. Identify your group and then find out the loan application details and clauses. Applicants will have to specify their age, gender, city of residence, and their salary/earnings details when submitting the loan application. These are crucial factors to be considered by the lenders if you want them to finance your medical emergencies. What are the repayment options for your medical loans? Finding answers to this particular question is necessary. Check the interest rates, the EMI, the tenure, and the penalties. Being knowledgeable about these details will help you assess the quantum of your responsibility in paying back the loan post approval. Financing and medical loans for specific health conditions might differ in nature. If you are diagnosed with a critical illness, the loan plans will be different from the options available for minor conditions. Some banks now offer special coverage for life-threatening conditions such as cancer. With a huge increase in the rates of breast cancer amongst women, some of the leading financers have decided to offer special medical loans to them. Make sure you know about their offerings vis-à-vis your ailment. Your lender should have a strong reputation in the market. The financer’s credibility is equally important as that of the borrower. Do a bit of research and prepare a comprehensive list of reputed lenders. Since that’s not possible during medical emergencies, act smart and prepare the list beforehand. If you go with a lender that doesn’t have a strong name in the market, you might be hassled by surprises in terms and conditions, and wavering policies in fines, late payments, or interest rates. 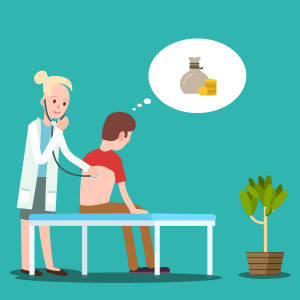 These 5 tips can help you get medical loans and financial support during critical ailments, just when you need it the most. How Much Personal Loan Can You Get? How to Buy Mobile on EMI Without a Credit Card? How to Get a Loan for a Family Function? How to Get a Loan for a Used Car? How to Get a Loan for Marriage/Wedding? How to Get a Loan for Used Bike/Motorcycle? How to Get a Loan Quickly? How to Get a Loan to Repay Credit Card Debt? How to Get a Personal Loan Easily? How to Get a Personal Loan for Furnishing Home? 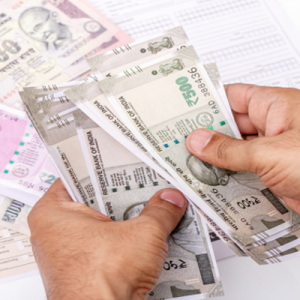 How to Get a Personal Loan if You Are Self-Employed?